Beauty Bites is a series I've wanted to start for a long time and finally the first post is here! 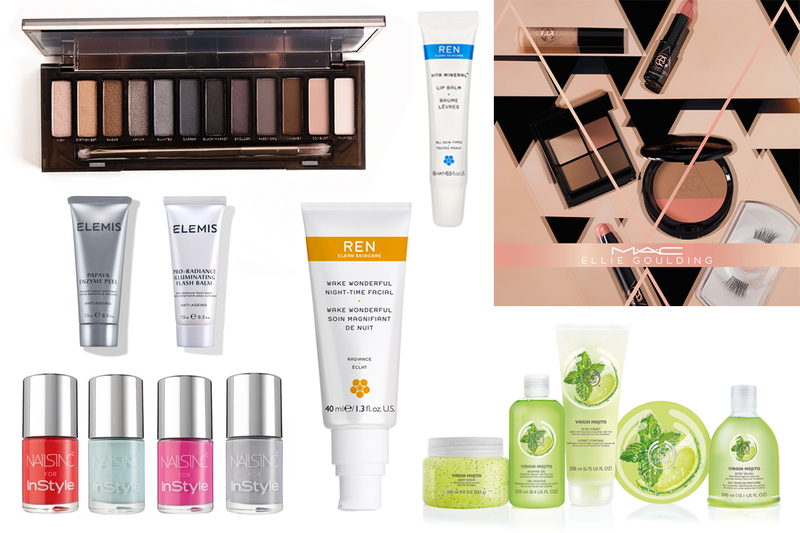 Every so often beauty bites will round up the latest beauty news, launches, discounts, offers and more. Here are 10 of my favourites from the last few weeks or so. 1. Liz Earle's skincare and haircare ranges are now available at Feel Unique - I recommend the Instant Boost Skin Tonic! 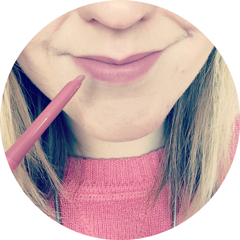 Feel Unique is one of my favourite online beauty retailers and this brand is a fab addition - find them here. 2. The La Roche-Posay Effaclar Duo[+] is one of my favourite blemish busting products and until 30th July (while stocks last), you can claim a free sample from the La Roche-Posay website here. All you have to do is complete a short form. 3. Urban Decay have announced the launch of the Naked Smoky Palette, featuring nine new shades, a mix of mattes and shimmers and a dual ended pencil/crease brush, on July 8th. It looks an absolute beaut! 4. The Body Shop have launched a limited edition Virgin Mojito range including Body Butter, Body Sorbet, Body Scrub, Shower Gel and Body Splash. I bet it smells amazing. Available in store and online here. 5. MAC have announced a collaboration with Ellie Goulding. I haven't really been excited about any of MAC's celebrity hookups before, but I love Ellie Goulding and all the pink and neutral hues look right up my street! It won't be available until December however, so if anything catches your eye, add it to your Christmas list! 6. The REN Wake Wonderful Night-Time Facial has launched exclusively at Space NK (though will be available from independent stockists later in September). It is designed to deliver a 3 step treatment while you sleep for brighter, rejuvenated and more refined skin by morning. It sounds amazing! It costs £32.00 here. 7. I spotted on Angelica's blog One Little Vice that Balance Me will be releasing their first ever haircare products in July - a Protect and Shine Shampoo and Conditioner duo, free from SLS and at least 97% natural. I'm really looking forward to her full reviews on this! 8. Magazine freebies - they always come out in force in the summer and this month has a great selection. Red have a free REN lip balm worth £9.00, Instyle have a choice of four Nails Inc polishes worth £11.00 each and Marie Claire have two Elemis minis on offer - the Pro-Radiance Illuminating Flash Balm and the Papaya Enzyme Peel (I've picked up the latter). Elle have a trio of minis from Malin and Goetz available and if you need a new lipgloss, eyeliner or mascara, pick up Glamour to nab one from ModelCo. For some new sunglasses, Cosmopolitan is the magazine for you as it has a choice to three styles available. 9. If you're in need of some new skincare, Escentual have 1/3 off French Pharmacy products until the end of June here. I've already made an order! 10. Feel Unique also have a Specialist Skincare Event on until the 30th June, with up to 1/3 off many brands including First Aid Beauty, Nuxe and HealGel. Plus if you buy three items from the same brand you get the cheapest one free! Take a peek here. Are you excited about any of the recent product launches? Will you be taking advantage of any discounts or offers this month? I adore the new body shop range, I instantly fell in love when I had a sniff in my local Body Shop! The body butter and exfoliator are my favourites, I love how fresh and summery they are! The REN Night-Time Facial sounds interesting. And I'll definitely be pouncing on that MAC Ellie Goulding collection! I'm already lusting for the new Naked palette! That Ellie Goulding collection looks so pretty for everyday colours.